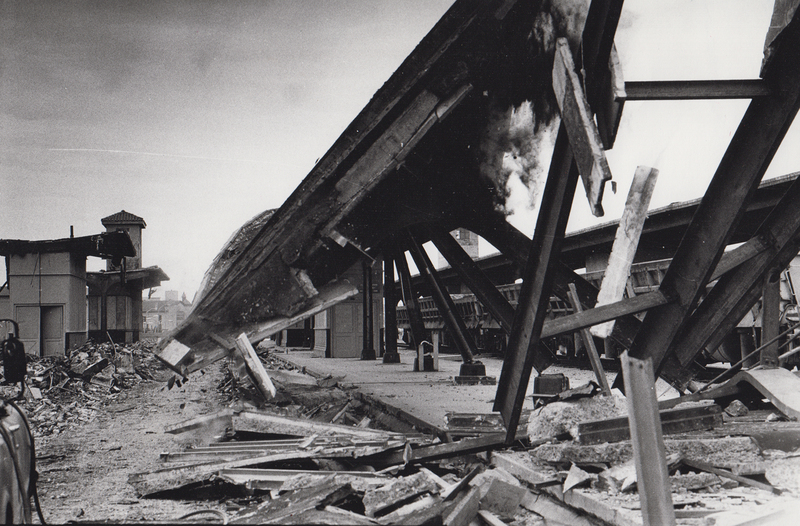 By the early 1960s, Dayton’s passenger rail needs had been reduced so much that such a huge depot as Union Station was no longer required. 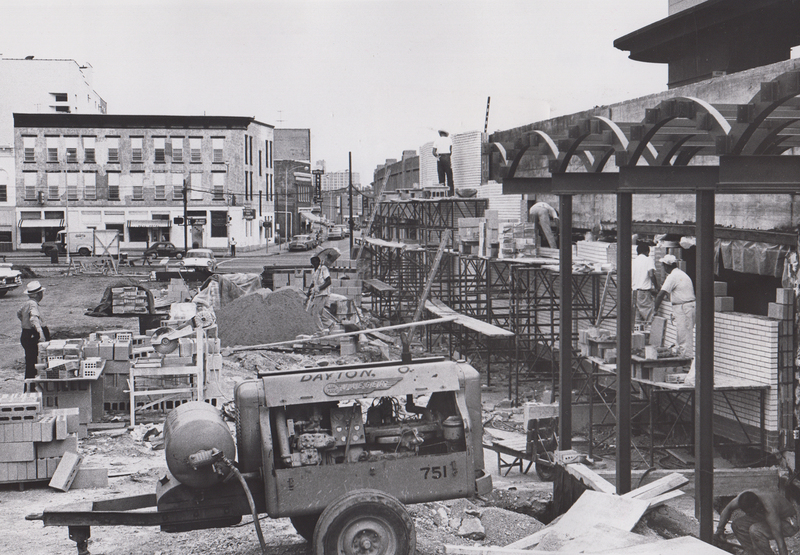 Additionally, it was decided that automobile traffic in downtown Dayton would benefit greatly if Sixth Street could be extended through to Wilkinson Street — the construction of which, incidentally, was being blocked by Union Station. 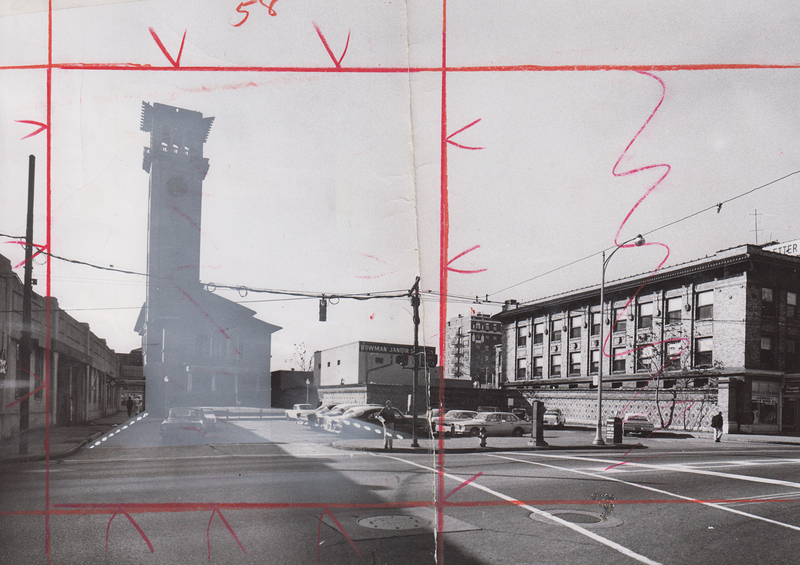 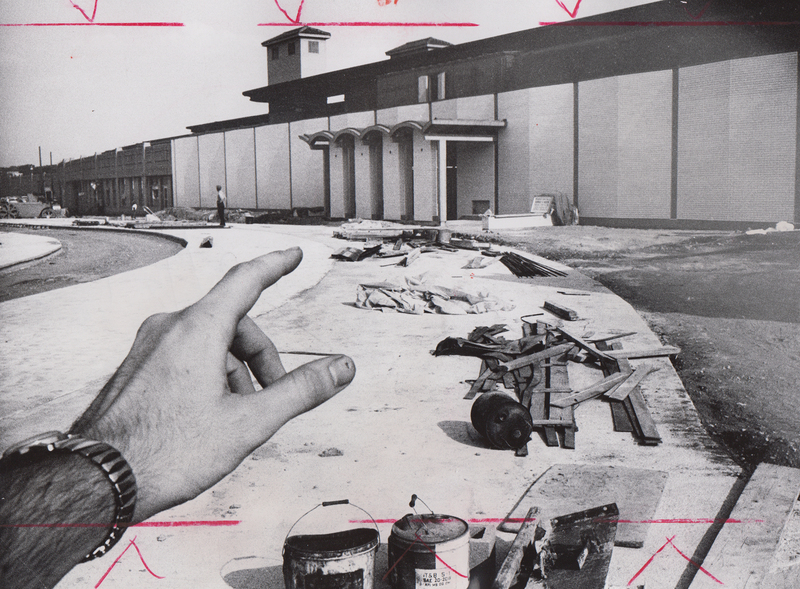 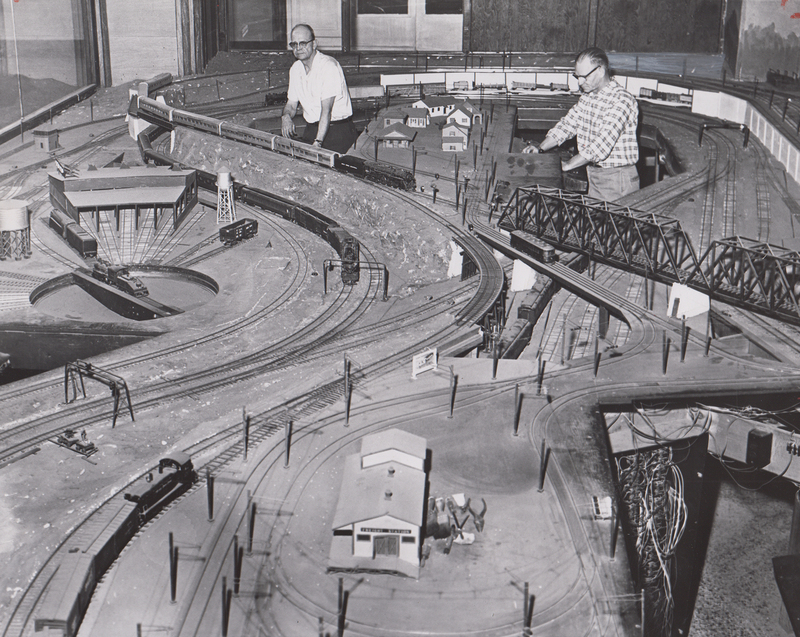 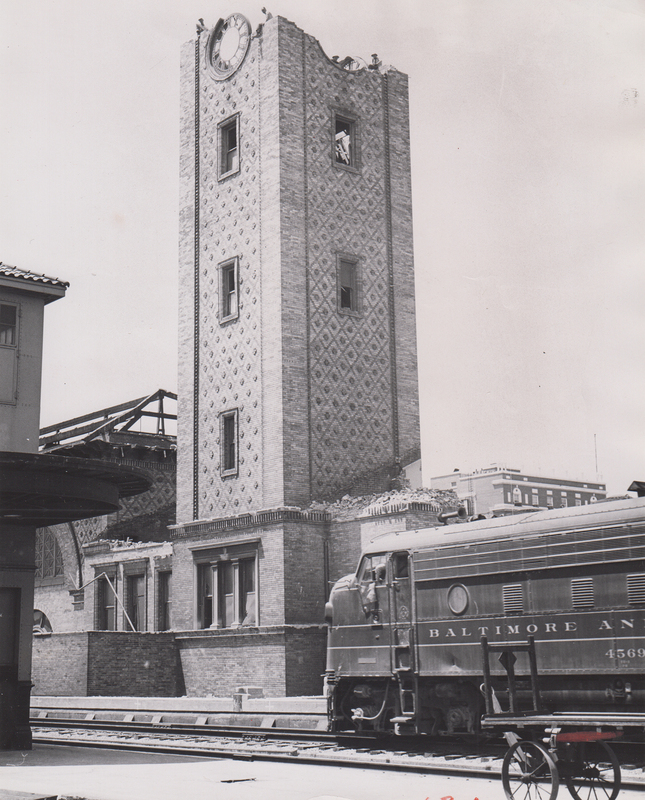 Therefore, in the summer of 1964, the huge tower depot was demolished and the offices moved to smaller depot facilities (out of the way of the proposed street connector project). 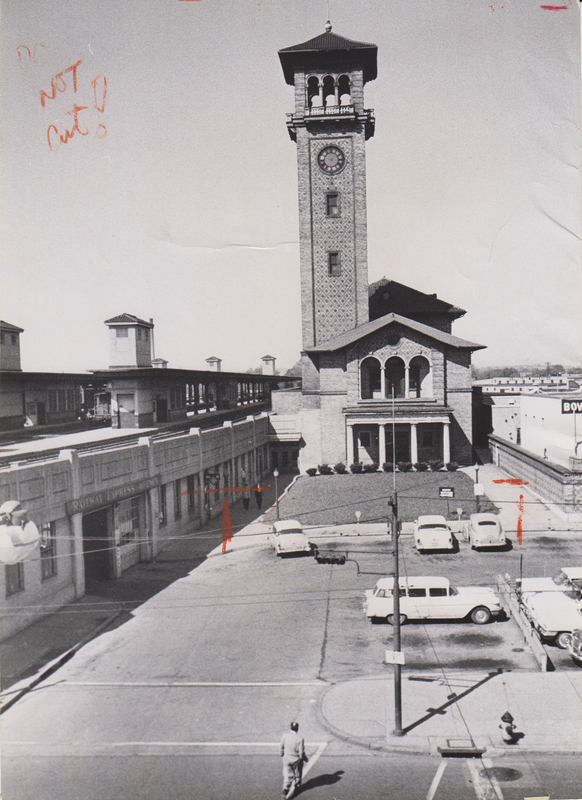 The new depot was dedicated in September 1964. 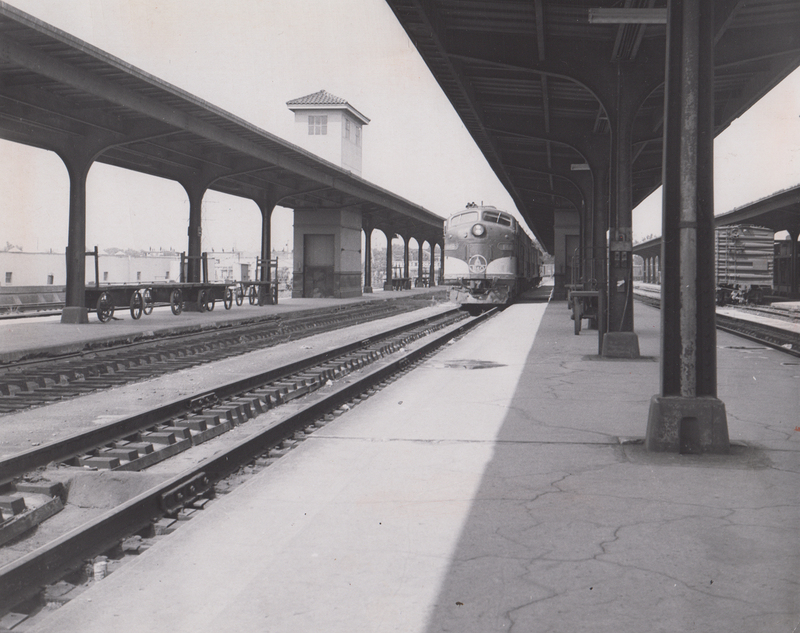 Passenger rail services in Dayton were eventually taken over by Amtrak in 1971, and this lasted until October 1979, when passenger rail service in Dayton was discontinued altogether. 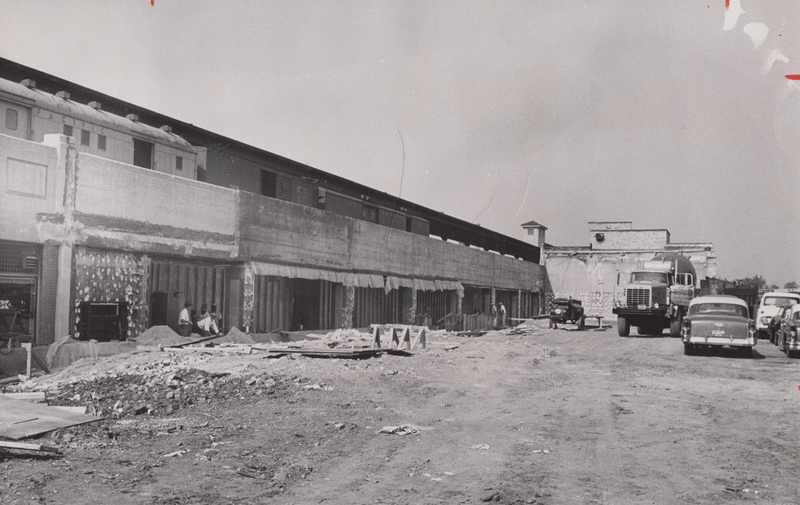 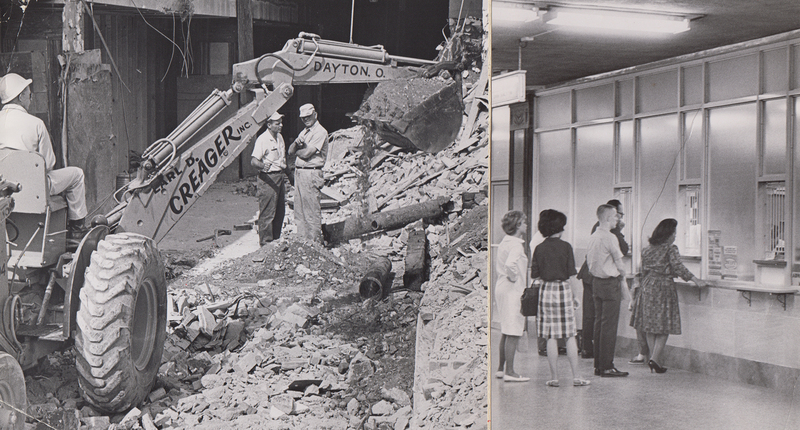 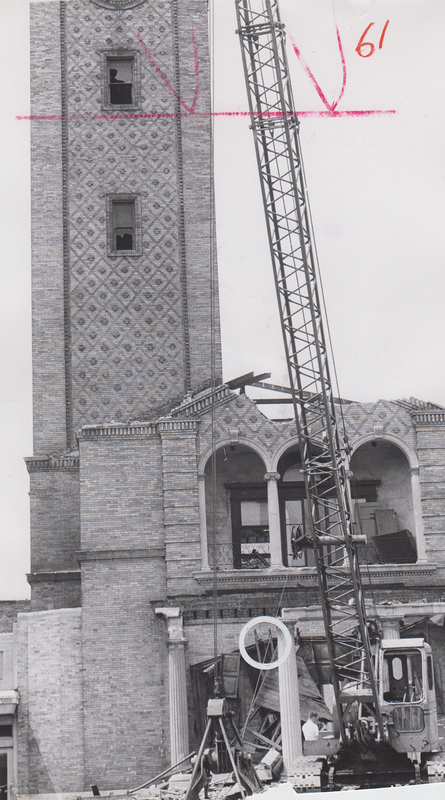 The last remnants of Dayton’s Union Station (the “new” 1964 station) were removed altogether ten years later in 1989. 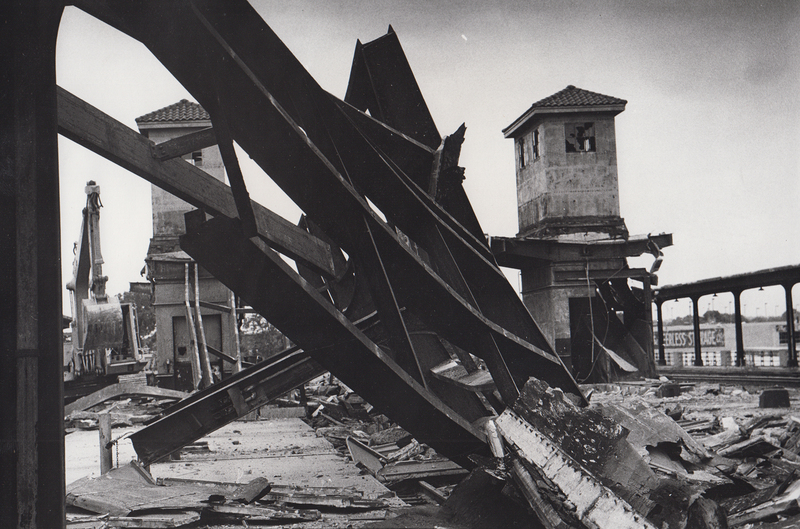 May 1964: Only Memories of Glory Left. 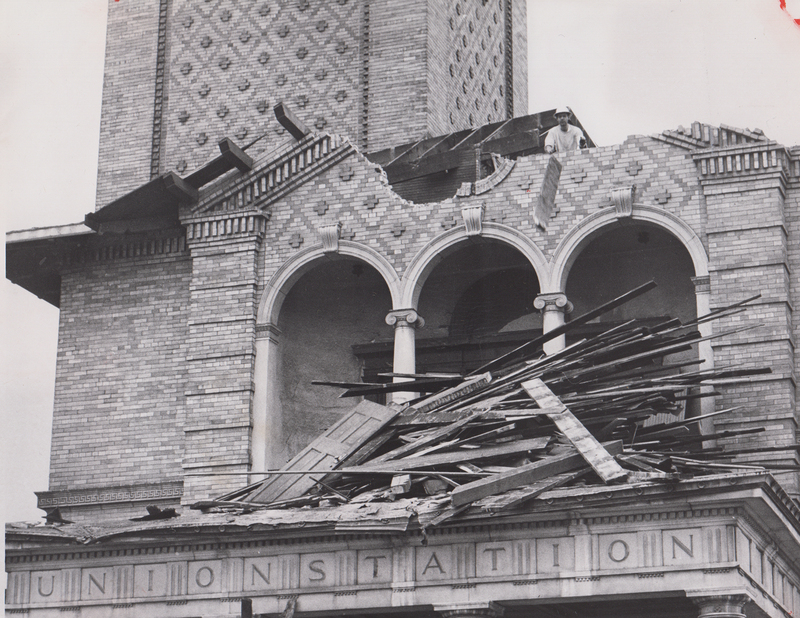 A piece of Dayton history, Union Station, where thousands of travelers have congregated since the depot was built in 1901, comes slowly rumbling down as wreckers make way for an extension of Sixth Street to Wilkinson Street. 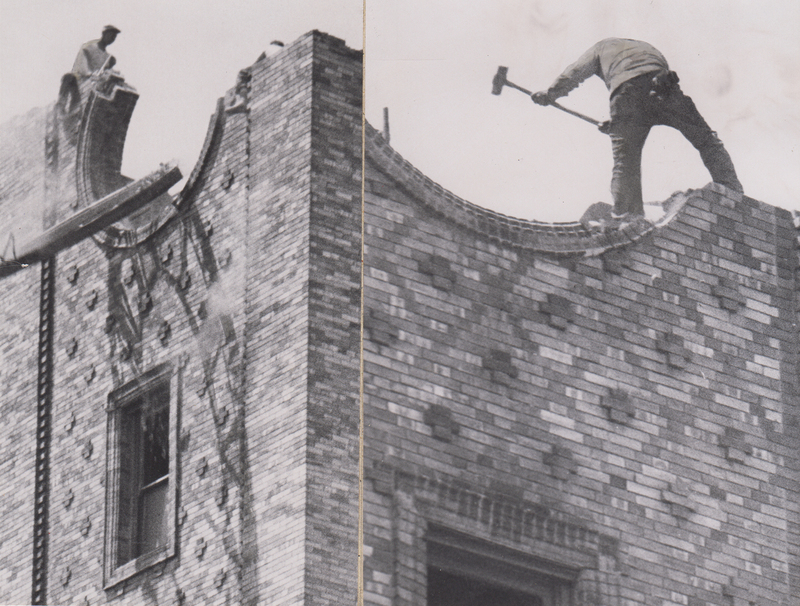 The wrecking is slow because workmen are trying to save the large timbers near the ceiling. 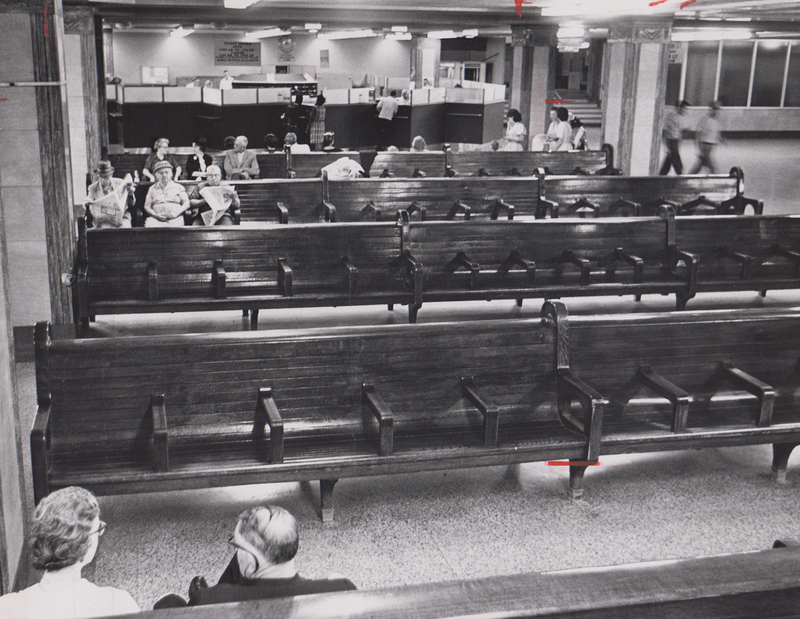 Journal Herald staff photo by Bob Doty. 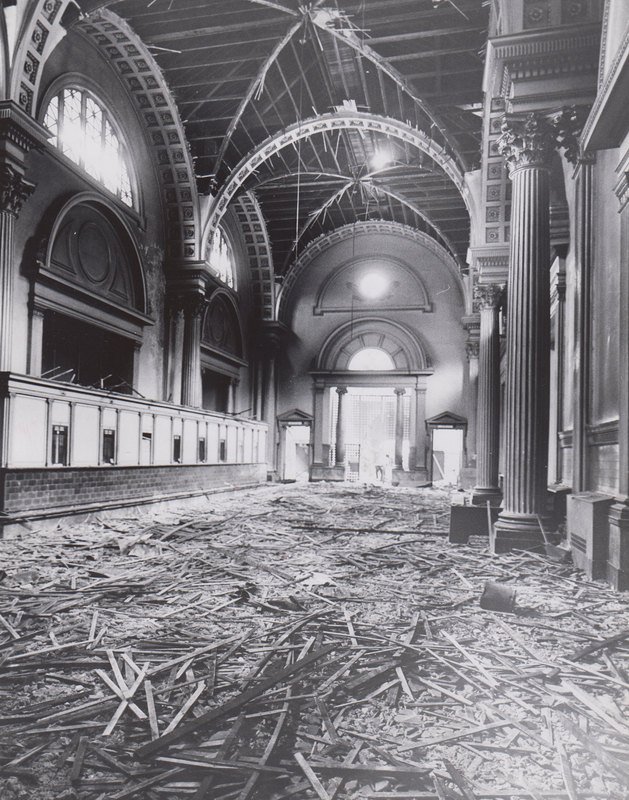 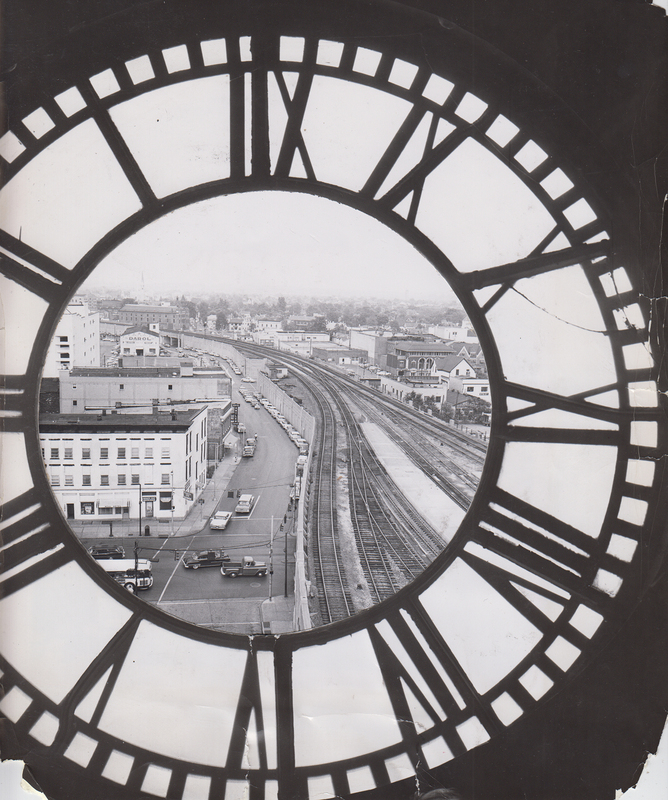 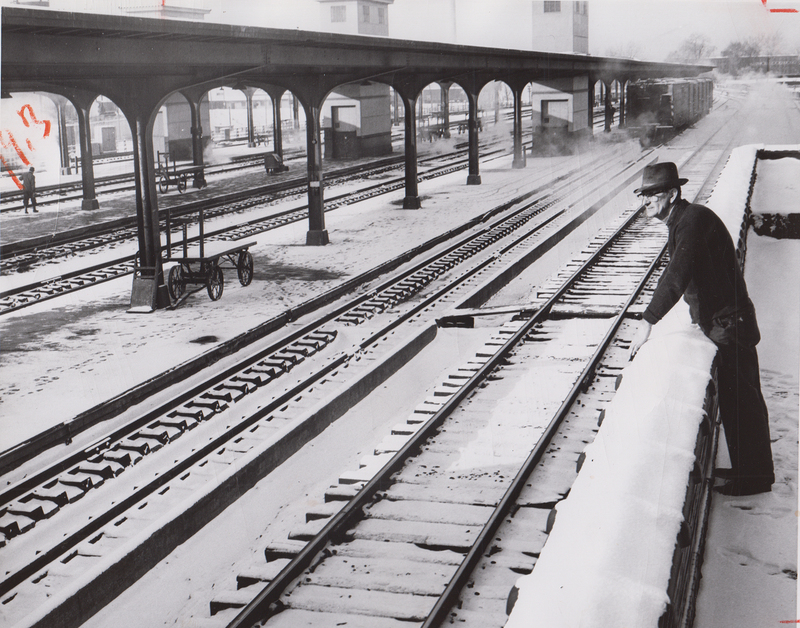 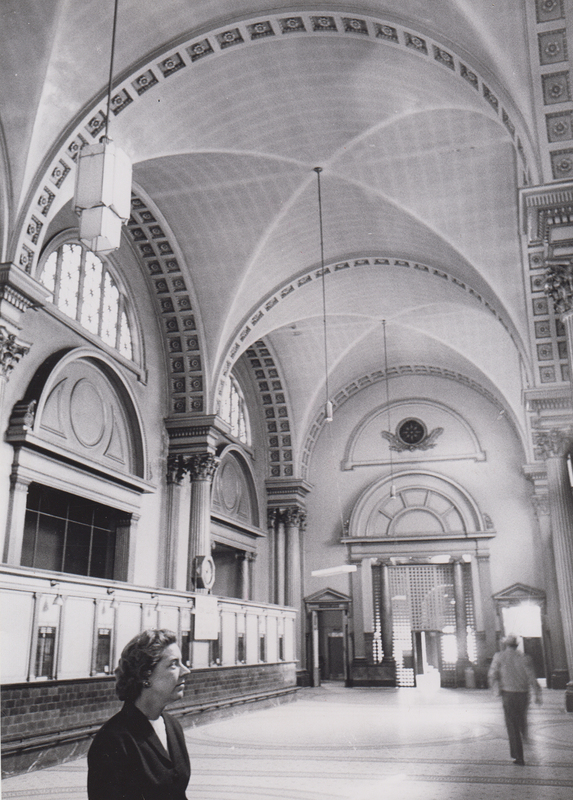 We hope you enjoy these photographs from the last days of Union Station. 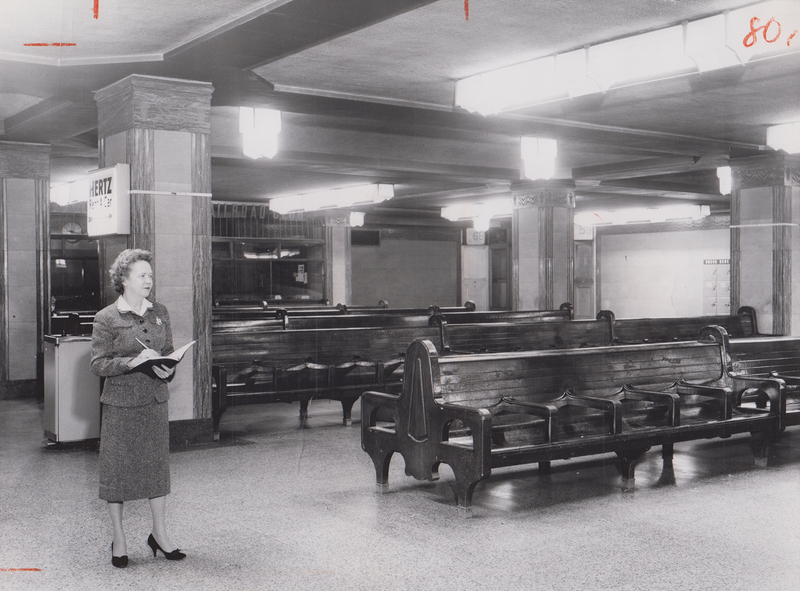 For earlier photos, please see our previous blog posts on Union Station’s Early Years and Union Station in the 1940s-1950s.